MLC has welcomed generations of Portland students into its unique learning community. 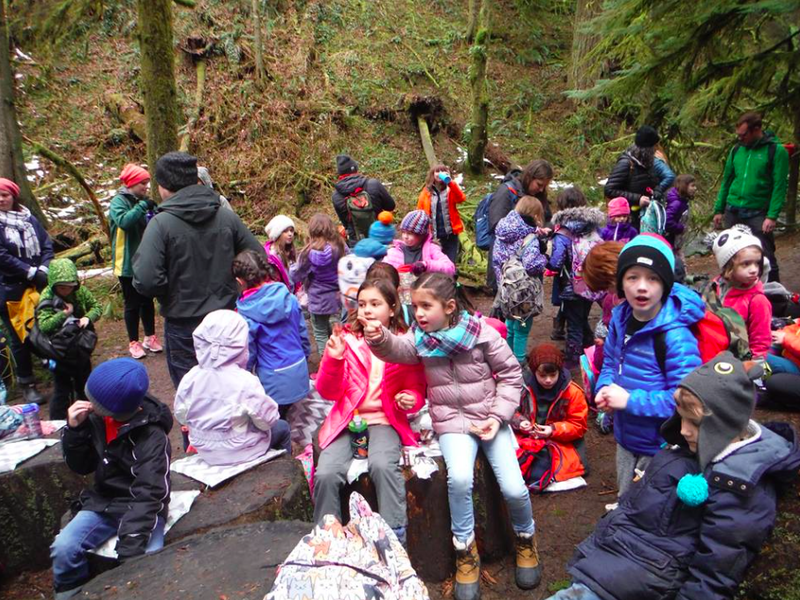 MLC is a special place where children are given the freedom to express themselves, learn about the city, forests, and world around them and grow with their character traits. None of this would be possible without the incredible dedication of our teachers and staff. The MLC Foundation, with your help, could support positions such as a math specialist to provide additional math interventions and extensions, an additional counselor to help us provide a comprehensive K-12 counseling program, or an educational assistant to support teachers in the classroom. With resources, we free Alexa with input from Site Council to make decisions about what would serve our school community best. And we all can appreciate that additional staff can lead to more support and opportunities for all of our students. With a renewed enthusiasm and plans for the 2018-19 school year, our goal is to fund as many positions at MLC as possible. The Metropolitan Learning Center Educational Foundation (MLCEF) is one of over 30 local school foundations operating under the umbrella of the nonprofit Portland Public Schools Foundation. Visit www.allhandsraised.org for more information on the work of the Portland Public Schools Foundation. Money raised through the MLCEF is the only way we are able to fill the gap between funds provided for staffing by Portland Public Schools and funds needed to reach our desired staffing model. In order to maximize staffing, we have a goal of $300 per MLC student this school year. This amount is similar to what is asked of parents by other PPS school foundations and is tax deductible to the fullest extent of the the law. Option 1: Monthly donation of $25 per month for 12 months. Click here to sign up for monthly giving. Option 2: One-time $300 donation. Click here to make a one-time donation. Please give as much as you can. Every dollar truly helps and does make a difference. We need support from every MLC family to ensure that our children continue to get the rich and diverse education they deserve. If you cannot contribute financially, consider contributing your time and talents towards building and supporting MLC. For more information, please contact us! You can donate with cash, check or credit card. Important: We can only take donations on this site via the All Hands Raised website. Once you are on the All Hands Raised site, click "Select a Recipient" > "Select a PPS School" and select Metropolitan Learning Center. Every donation, no matter how small, makes a difference. Please donate today. And, it's tax deductible! Q. What's the difference between the PTSA and the Foundation? A. The MLC Foundation ONLY raises funds to pay for teachers while the PTSA raises money for programs such as field trips, school and classroom supplies, and events. While both organizations are independent non-profits, they complement each other in order to provide our children with a rich educational experience. Q: Why should I have to pay more? I already pay taxes. A: Until PPS has the ability to fund all PPS schools to their fullest, we, the parents must step in to ensure that our children receive the education they deserve. Without Foundation support, MLC's students will have fewer teachers, larger class sizes and limited or no support staff.